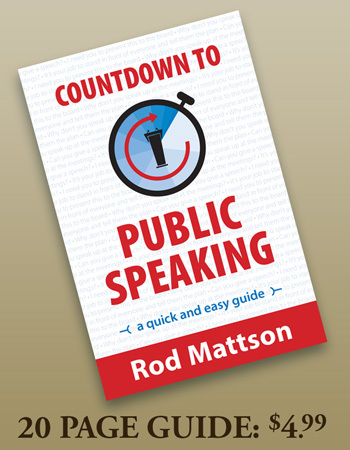 Mattson can prepare you for an upcoming public speaking event. We concentrate on the end user—the audience. We focus on speakers giving the audience what they expect instead of telling the audience what the speakers want them to know. At Mattson Communication Training, we do not focus on improving your performance as perceived by you. We focus on improving your performance as perceived by the audience. You must present well to make your audience look, feel, and be better off than they were before you spoke. Can our public speaking services help you? The principles we teach in public speaking training are the same principles used for effective communication in all situations—not just public speaking. If you are looking for “techniques to win” then studying public speaking is an excellent choice to improve effective communication. We can’t help everyone. Our desired client is competitive, yet cooperative, driven, yet empathetic, and not only committed to personal development; but also committed to organizational and “other person” development. We have noticed that almost all websites representing Public Speaking coaches and experts “shout from the rooftops” all the Fortune 500 companies, famous business people, and celebrities they have on their client lists. Also, they have testimonials from several individuals attesting to our fellow Public Speaking experts’ credibility and ability. We have no reason to doubt any of these claims; however, it is not part of our core values. We understand the anxiety and/or unwillingness to admit to others a lesser skill than desired involved in Public Speaking and Communication. We do not divulge our clients. We certainly believe performance is important to clearly delivering a message. In most cases, it is not our desired starting place. In our research, the two most undeveloped elements of Public Speaking are a clear message, and thorough audience analysis. Teaching performance techniques at the beginning is like trying to learn jumps, spins, and/or skating backwards before learning to skate. If the passion and enthusiasm is present and you sincerely believe your message is important to others, then, performance will naturally follow. We believe that earning approval should not be a goal. You cannot get approval from everyone, even Jesus couldn’t earn everyone’s approval, so what makes you think you can? However, you can get approval from the majority of your audiences by doing just the opposite: give them your approval. This holds true in many things. If you want respect, you must give respect, if you want love, you must give love, if you want understanding, you must seek to understand, if you want to look good, you must make others look good. I am paraphrasing St. Francis from The Prayer of St. Francis (1400AD). 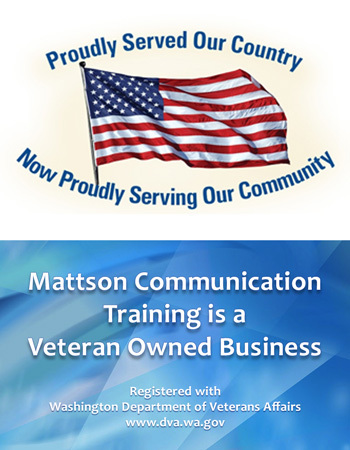 Call or email Mattson Communication Training today to schedule a free consultation. Who is a Better Public Speaker, an Extravert or an Introvert? Surveys have shown that most people think of extraverts as outgoing, funny, movers and shakers, people who get things done, etc. They also think of introverts as shy, bashful, quiet, uninteresting, and lack initiative. These notions cannot be further from the facts. Why Do Many Presentation Bore Me? Have a realistic evaluation of your personality style, skills, and abilities and prepare accordingly with the audience in mind. If you do, you will never give a boring presentation. Once a speaker becomes more experienced and has a good grasp on the message development, then the finer aspects of performance can be determined and practiced. For example, the use of pauses, better eye contact, audience engagement, dramatizing ideas, predetermined movement, posture, balance, etc. We do not teach acting as then you become someone else. We want you to develop your own personality on stage that is true to who you are. The only time to act is for beginning speakers with high anxiety. We suggest they act confident. *A predetermined fee is agreed upon for observation and written analysis with recommendations. **Once the Plan is agreed upon, a 50% down payment is due. ***At the conclusion of the plan and delivery of any metrics and/or evaluation, the 50% balance is due. We want you to be comfortable working with us. 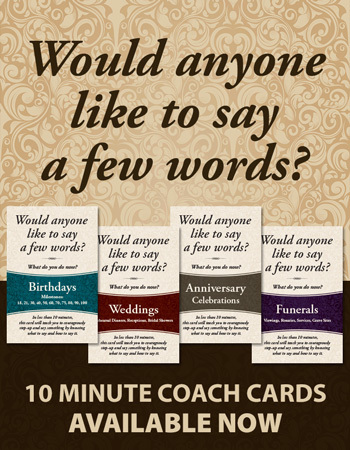 We suggest you take all the credit for your improved skills and newly developed communication effectiveness. You can talk about your own self-improvement and more importantly, your improved ability to “connect” with an audience as you see fit. We will not ask you for a testimonial to publish on our website or anywhere else, we will work with you under the cover as an “organizational consultant” and you do not have to disclose to anyone you feel you need work on your communication skills. Also, no matter your position at your organization, we will not divulge to anyone that we are working with you. We believe trust and confidentiality should be everyone’s core values so we place zero tolerance policy on violation of these values. We teach speakers how to analyze the audience before forming the message. The goal is to make the audience better off after your speech than they were before listening to you. It is your responsibility to find out what an audience expects and needs and to satisfy those expectations and needs. It is not good enough to simply hold a meeting, talk about what’s important to you, and pat yourself on the back for such a wonderful performance, then wonder in amazement why behavior doesn’t change when you know for a fact you told people what to or not to do. If audiences are bored with meetings and little change comes from them, it’s time for you to examine your message. You might be an excellent performer and make everyone laugh; however, you are missing the mark by not communicating your message in a way the audience will receive it effectively. Our core value is helping others reach their potential. Most of our clients are experienced speakers; but we work one-on-one with beginners too. Many beginners ask why choose us when organizations like Toastmaster’s, Dale Carnegie, or even a community college are available. These are all good choices; however, there are three major distinctions between us and these other fine organizations: Time, cost, and we—uniquely—offer one-on-one consulting. We are highly qualified having studied and been involved with all three of these organizations so we know exactly what they offer. Since we work one-on-one with clients, we are flexible enough to zero in on your specific needs in less time. We teach you exactly what you need in order to accomplish your specific goals in 1-5 hours where Toastmaster’s is a weekly commitment and you study things you may not need, Dale Carnegie is an “off the shelf” 6-12 week course costing over $1800, and a community college is a 12 week commitment costing $600. Public Speaking is the most studied discipline in the history of mankind. Learn the specific principles that apply for your needs and use them in all communication situations. Introversion and extraversion are complex concepts or as Carl Jung described as “attitudes.” However, in simple terms extravert's get energy outward from people and events while introverts get energy inward from thoughts and experiences of their inner environments. In other words, I am not afraid of groups of people or dislike being around groups and parties, it just drains me where these activities energize an extravert. Our social conventions clearly favor the extravert's; however, extraverts do not have any advantage over an introvert in skill and ability. An extravert's advantage is this social favor. In fact, many organizations overlook or miss out on excellent talent when making decisions based on faulty notions of extraverts and introverts. Introverts are perfectly capable of acting as extraverts in situations that call for this type of behavior and vice versa. Some extraverts have a fear of public speaking and some introverts have a fear of public speaking. Some introverts have no fear of public speaking and some extraverts have no fear of public speaking. Personality style or type is way more complex than simplifying it into these two neat boxes. I do not have a fear of public speaking and I am an introvert. I am neither shy nor bashful. However, I get my energy in preparing for a speech and become drained of energy when delivering the speech where an extravert might stereotypically be bored by preparation and gain energy in the delivery. Being an introvert is no excuse for avoiding public speaking and extraverts are not always the best speakers.